The UK has the worst environment for philanthropy in the north and west of Europe. However, on a worldwide scale, this is still a good place for the third sector to thrive. That's according to the recently published Global Philanthropy Environment Index, a large piece of work that tries to measure the atmosphere for making and receiving charitable donations around the world. The paper found that, in general, political uncertainty is the biggest challenge to philanthropy at this time. In which case, the UK's relatively poor performance compared with its European neighbours is unsurprising. Brexit looms large and the only thing that is clear about our exit from the EU is that nothing is certain. For those of us in Northern Ireland, there is more cud to chew. We share the rest of the UK's Brexit vagueness but have two additional factors draping the future in even denser fog: the border, which means more to us than England, Scotland or Wales, and Stormont - we are a jurisdiction without an administration, and politics struggles to get less certain than that. Those concerns probably tally well with the feelings of people who work in the NI third sector. They also tally with recent data; fewer people in NI donated money in 2017 than in the previous year, and the mean donation also fell. Thankfully, however, politics isn't everything. So what else matters, how are we doing, and how can we improve? 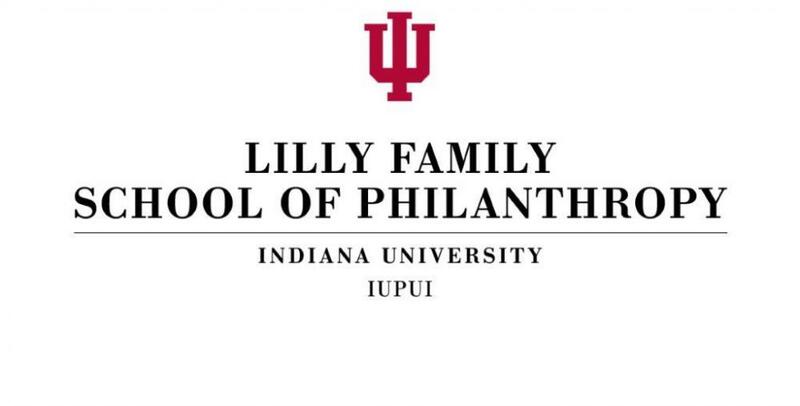 Published last month, the report from Indiana University - Purdue University, Indianapolis (IUPUI) ranks a total of 79 nations across five categories, all looking at different ways charitable giving can be encouraged or suffocated. Cross-border flows - meaning the laws, incentives and barriers around donations made across national borders. Each nation was given a mark out of five in each category, and an overall score that was the mean average of the initial five scores. The UK was matched together with Austria, Denmark, Finland, France, Germany, the Republic of Ireland, the Netherlands, Norway, Sweden and Switzerland in Northern and Western Europe, one of 11 regions around the world (Eastern and Southern Europe comprised another region, as did the Balkan states). With a final score of 4.18, the UK was comfortably the lowest-ranked nation in its region. Next lowest was Sweden, with 4.30, while Finland and the Netherlands were at the top with 4.80. When it comes to ease of operation, the UK was nearer the bottom than the top, albeit with a rating of 4.67 (against an average of 4.79). Under financial incentives, it was marked 4.00, with the average 4.23. For cross-border flows, it was joint bottom (with another three of the 11 nations, on 4.00, while the average was 4.40). The sociocultural environment average was 4.65, while the UK scored 4.50. Ultimately, the UK was below average for the region in each of the assessment categories - including, finally, politics. With a score of 3.75, we were the only place to score under 4.00 in this area, while only one other nation score less than 4.50 - and that was the Republic of Ireland (4.00), which shares some of our Brexit border uncertainty. The index report says: "Political environment—even more than the regulatory environment—can greatly undermine the work of philanthropic organisations." The UK suffers in comparison with its peers in Northern and Western Europe. However, we are still in a far better place than much of the world. The UK's score in the political category is far better than the regional averages in tumultuous places like Sub-Saharan Africa (2.75), Latin America (2.88) and the Middle East and Northern Africa (2.63). Nevertheless, we are not that far above the global average of 3.41 which, for a prosperous place, is disconcerting (unsurprisingly, the report notes that a good environment for philanthropy and a high GDP tend to go hand in hand). Per the paper: "[T]he United Kingdom voted to leave the European Union during the 2015 referendum on “Brexit” and the government scheduled its departure from the European Union at 11pm (GMT) on March, 29, 2019. Thus, the philanthropic sector might face financial shortages since the funding that the British philanthropic sector receives from the European Union estimated at near US $269 million a year could be significantly reduced." In its sub-report for the Northern and Western Europe, the index has seven key findings. Philanthropy is "deeply rooted" in European society and the sector is "flourishing" here, however there are gaps in data to assess the size and composition of charities and social enterprises, and how this changes over time. There is also good news for the UK, and the Republic of Ireland: "The 2016 World Giving Index shows that countries in the Northern and Western Europe Region are among the top 30 ranking scores in terms of giving behavior, except for France. The United Kingdom and Ireland are the more generous countries in the region being number 8 and 9 respectively, out of 140 participating countries." However, the paper also notes that statutory financial support has decreased in the ten years since the credit crunch. Registration processes for UK organisations - essential for accessing benefits, such as favourable tax tariffs - is straightforward. The UK, like other countries, offers incentives to individuals and corporations to make donations. However: "Austria, Norway, and the United Kingdom reported complex tax-deduction procedures that might negatively affect donors to apply for tax incentives." The EU allows seamless transfer of money between members, however tax incentives for cross-border donations only apply in certain circumstances - and, despite laws saying there should be no discriminatory practice for incentives that are within the EU, when compared with giving within a single EU nation, in practice this can be tricky because it is costly to prove compliance with certain conditions. Help, however, can be found in the Transnational Giving Europe network. While all the nations in this part of Europe have governments that support the third sector, the UK is one where the 2008 financial crisis had, and continues to have, a negative effect on this. "The political and governance environment in the United Kingdom raises concerns as certain emerging practices may negatively affect the philanthropic sector in the country. The structure of government funding for charities has changed and contract funding has become more popular than traditional grants. The application process for contract funding is more complex and it puts pressure on charities to reduce overhead costs. Besides, charities’ ability to advocate for change has lessened due to a legislation enacted in 2014 that affects non-party campaigners (those that campaign at elections but are not standing as political parties or candidates)." A Scope article from last year highlighted the historic, and ongoing, importance of faith-based organisations to the local third sector. This relationship is noted as a strength in the global index - which, at the same time, points out that much modern giving has been secularised and is also a growing strength. Certainly those behind the report feel these can work in concert. This section is a more a series of educated predictions rather than one cohesive point. The index anticipates that the third sector will grow ever more professional which could lead to greater donations because of better engagement with potential donors; it thinks cross-border philanthropy will also increase although notes this will "especially" be between EU members. Technology is also expected to have a greater and greater effect - on the one hand, though more ways to speak to donors (and also receive support), while there will also be an increased burden on organisations as more rules are added for best practice (see, for example, GDPR). The report says: "The 2018 Global Philanthropy Environment Index reveals that while the regulatory conditions for philanthropy showed improvements in six of the 11 regions from 2015, the overall philanthropic environment in about 40 percent of countries and economies evaluated remains restrictive. "Importantly, the political environment presents significant challenges to philanthropic activity. The average score measuring the political environment (3.41 out of 5.0) was the lowest average score of all five factors studied. The Middle East and Northern Africa ranked lowest on political environment among the 11 regions studied, followed by Sub-Saharan Africa and Latin America. "More positively, economies with favorable philanthropic environments are linked with higher economic indicators such as per capita GDP." Exercises like this always run the risk of being arbitrary. However, that does not mean they do not have real merit. It is difficult to quantify just how good or bad something as complex as the charitable ecosystem is - but though any methodology will be inherently reductive, it is an inescapable fact that comparisons of quality over time are very difficult without studies such as this. The people who put this report together know this and, further, they know that understanding what lies behind the bottom line is important for anyone with an interest in the third sector. This is not the first time such an ambitious mapping project has taken place, following on from a couple of precursors published since 2006. Hopefully this work continues. The more these measurements are made, the more data we have, and the more we can understand how and why the third sector flourishes or fails.